When walking into Arcana, you feel like you are stepping back in time. 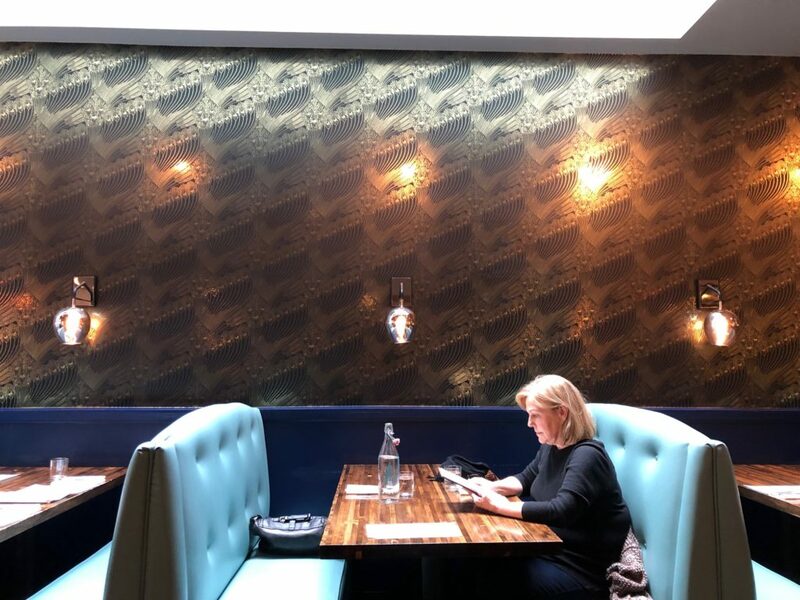 The decor is a rustic and contemporary twist on 1920s decor. It could have been the set for a scene in the Great Gatsby. 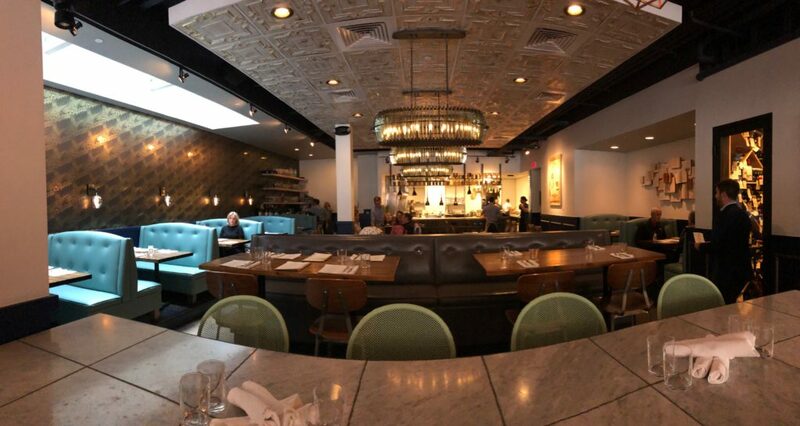 The ambiance makes the restaurant super inviting and sets a trendy tone. The rustic feel shines through even more in the beautiful pottery the food is served on. Making the food appear even more earthy. This restaurant has outdone itself when it comes to the front of house staff. The manager Michael was so cordial and welcoming. 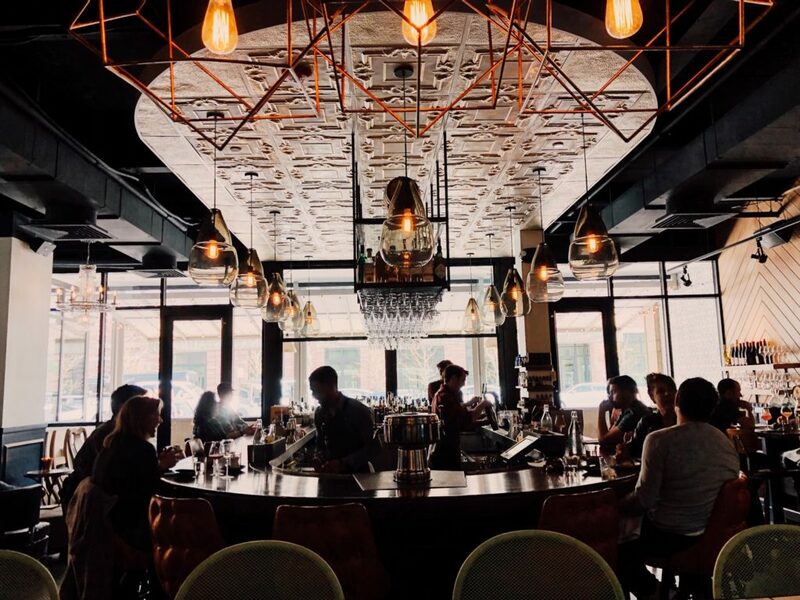 He was knowledgeable about EVERYTHING including the food, the history of the Chef, the Colorado dining scene and the extensive wine list. Not only could he suggest wines just by you describing what you like or normally drink, but he also paired that with each dish. Ultimately coming up with a glass we would not have chosen and impressed us with how well it matched what our palette most desired. Our waitress was just as outstanding. She described each dish in mouth-watering detail and was great at answering questions. 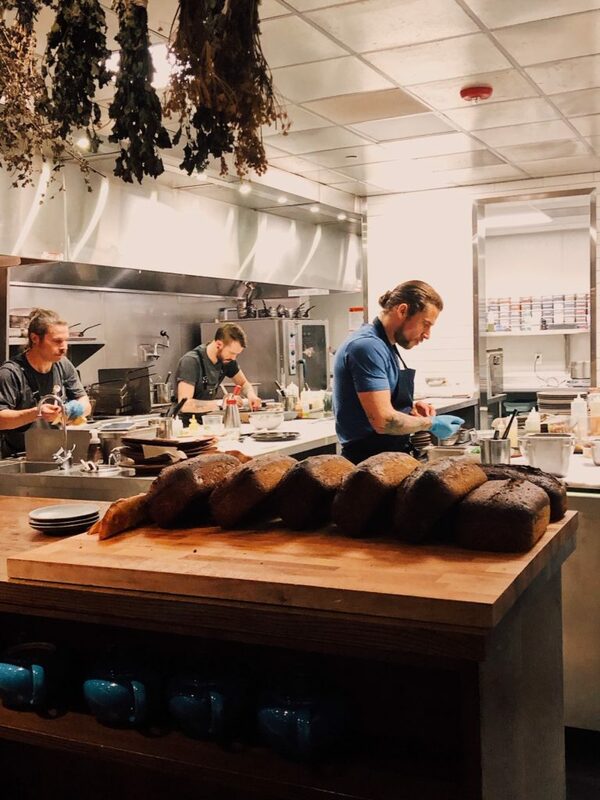 You can tell the staff spends time in the kitchen and with the chefs and are truly passionate about what they are serving and food in general. I even had to ask if she has been to culinary school herself she was so knowledgable and enthusiastic. She said no, she just loved the industry and the chefs in the house will always share their passion and answer questions so the staff can really learn about each dish. It was truly a learning experience for me as well! The expos and other servers that stopped by followed suit. Everyone was darling. The food was magnificent. Each dish was beautifully plated. You can tell everything goes out with precision and no one in the restaurant got a plate that was just thrown together. The presentation was beautiful on every table and the food tantalized our tastebuds all the same. The flavors chef Samuel puts together are unexpected and playful. Many of the items we tried were not ones I would have picked out myself, but the ingredients complemented each other and made me really appreciate each bite I took. We started with BENTON’S HAM. This was my favorite bite of the evening! I knew if the first bite was this good, I was in for an amazing culinary journey. 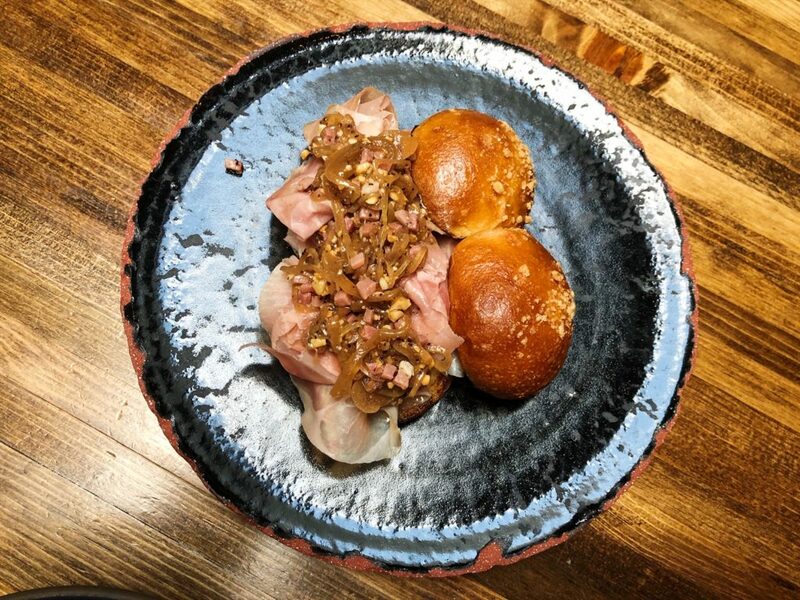 This dish included a perfectly golden brown peanut-shaped bun, layered with thinly sliced prosciutto, coffee pickled shallots and a sprinkle of nuts. The bun was made with peanut butter instead of regular and have the perfect nutty flavor, that surprisingly pulled together the dish in a way that made perfect sense. Next was the ELDERFLOWER PICKLED CELERY & MIZUNA. 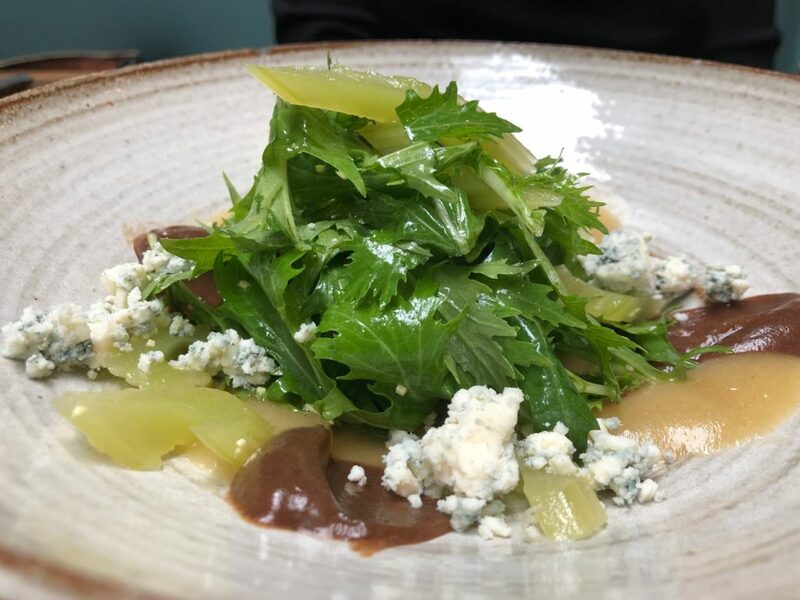 This was a mix of mizuna lightly dressed, with late-season pear, smoked fig puree, mildly pickled celery and Point Reyes blue cheese. It was the perfect salad and was a refreshing follow up to the ham sammy prior. The FARMER’S CHEESE TOAST was an obvious favorite, as I watched it make its way to several tables around me. 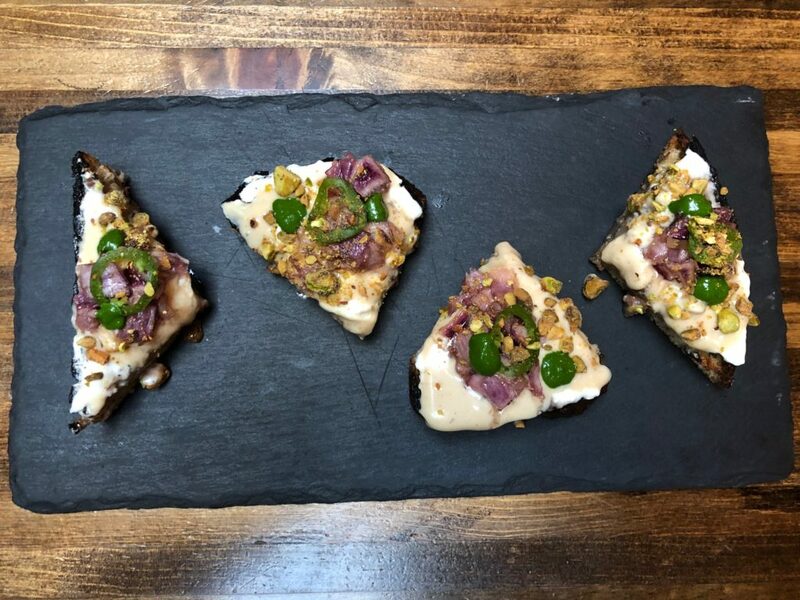 Rye bread squares painted with white chocolate and sprinkled with red onion, pistachio, mint and rose petal. So pretty to look at and satisfying in the most unexpected way. 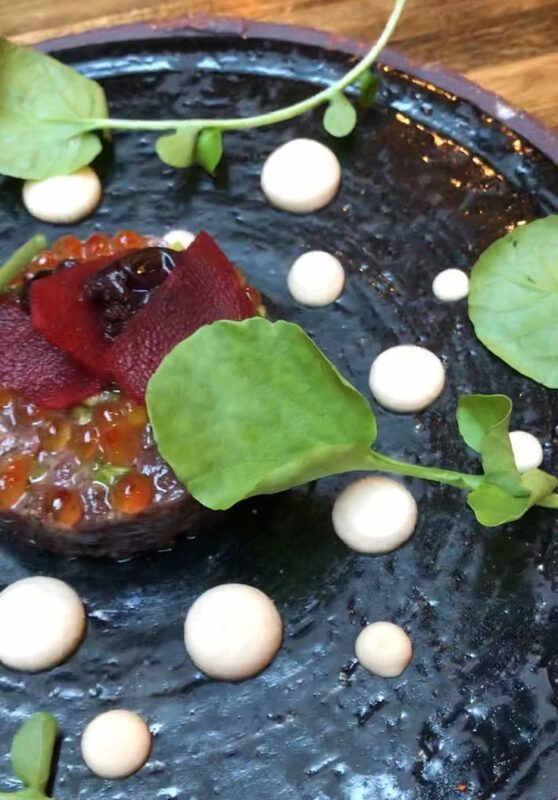 ELK TARTARE is not something I would normally order. I am not a huge tartare fan, just because of the texture. However, this was quite tasty. The elk was not Gamy and came across very mild. The trout roe that lined the top gave it the perfect saltiness and the herbs that adorned it made each bite finish nicely. 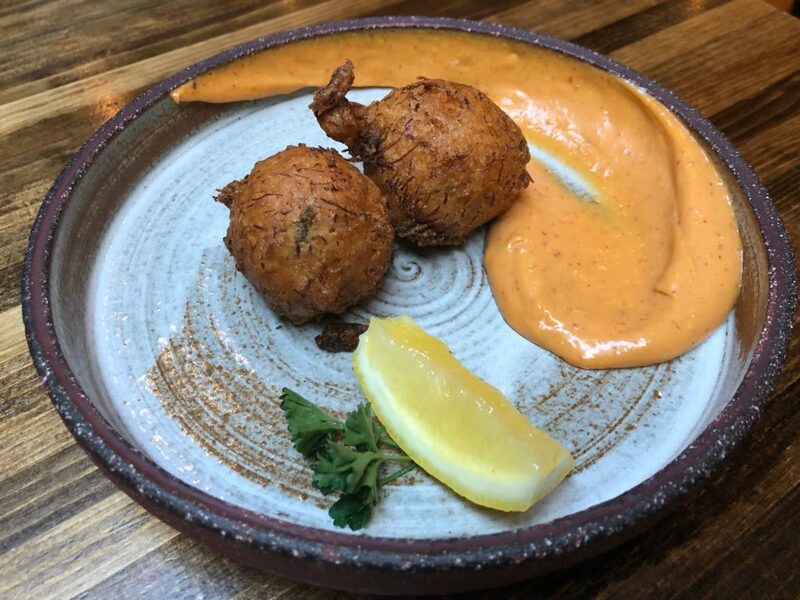 CRAB HUSH PUPPIES were the finale to the pre-dinner bites. These were everything you would expect in a perfectly crispy ball of hush puppy goodness. Light crab flavor, decadent thick cornmeal with a spicy aioli that danced across the plate. These are delicious little bites. Then came the MAINE LOBSTER & GRITS. This dish had a gorgeous presentation. I almost didn’t want to eat it because I would have to disturb the masterpiece on the plate. Alas, I gave in. 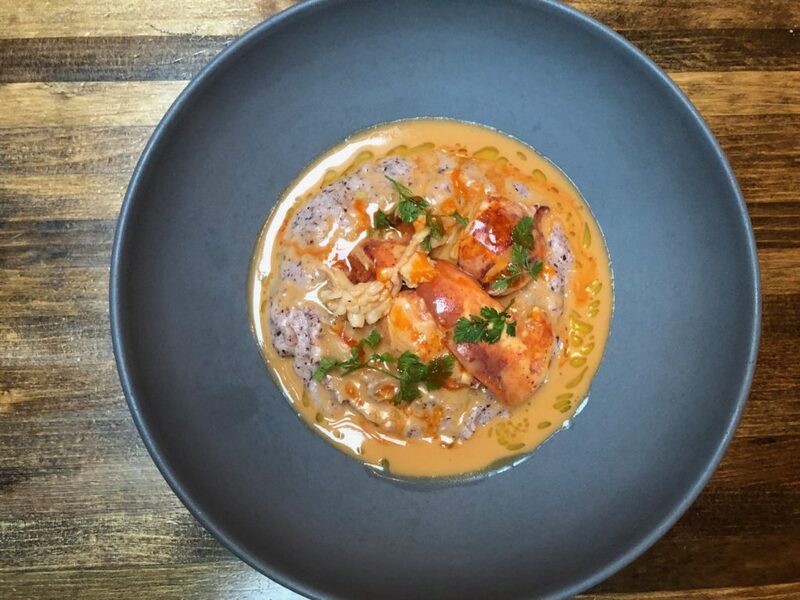 The buttery and rich heartiness of the dish pleased my stomach even more than it did my eyes. Easily one of my favorite dishes on the menu. As if we couldn’t have been more satisfied, the COLORADO LAMB was placed on our table. 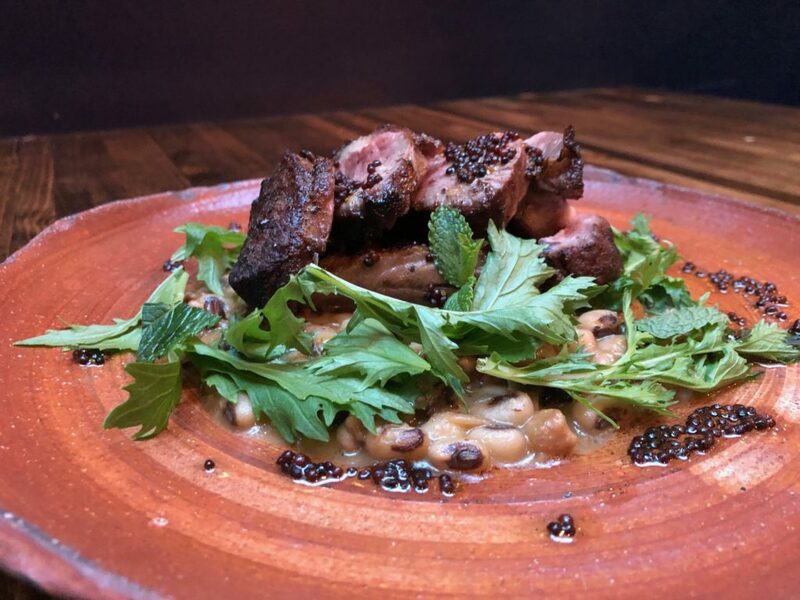 There were perfectly cooked cuts of meat resting on a bed of black-eyed peas, mizuna, and green garlic bread puree. Again, something I may have overlooked on the menu but was astonished at how the flavors all came together. Pieces of mint paired with the medium rare lamb had me feeling heavenly. The different cuts offered different flavor profiles of the meat and made each bite different and utterly enjoyable. For dessert, we were offered a variety of sweet sensations. Our favorite was the homemade ice cream. 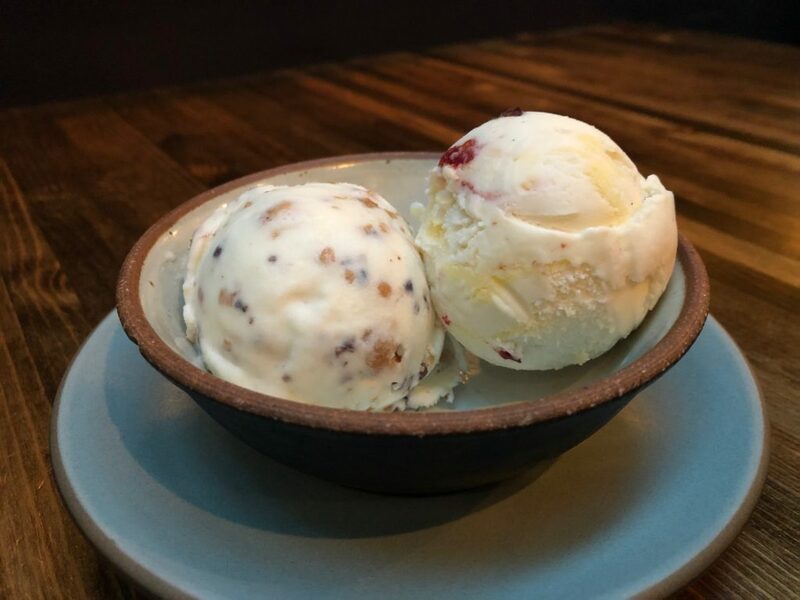 You get two SCOOPS of your choosing. We had the coffee and macadamia nut and the L.C.P.B.P.C.C. which were both rich and creamy. 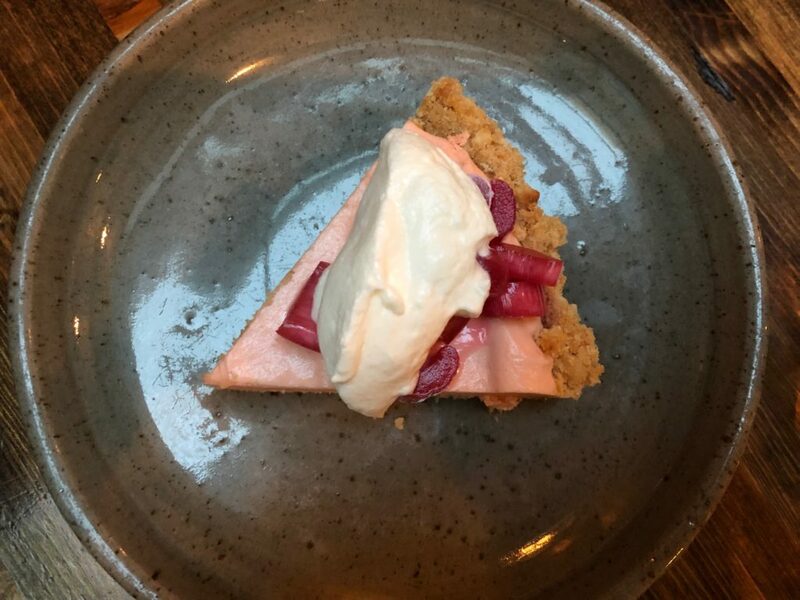 The RHUBARB VINAGER ICE BOX PIE was so delicious. The crust had a saltiness to it that complimented the sweetness of the pie filling. Making every bite tasty and balanced. Lastly, we had the ARCANA FUDGE POP which was a playful dessert that tasted so rich and decadent. 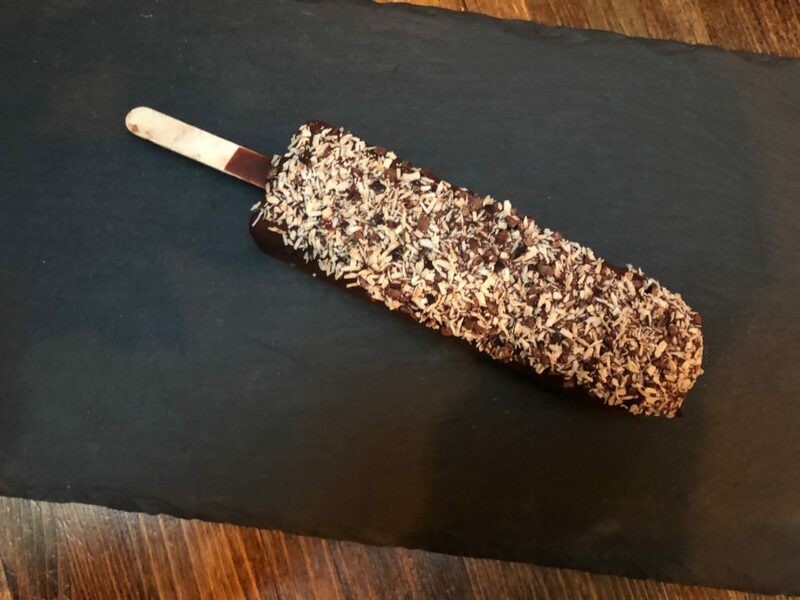 If you are a chocolate fan, you will be truly satisfied with this cocoa pop. The cocktails throughout the meal kept us entertained and content. They were also so beautiful and complex. 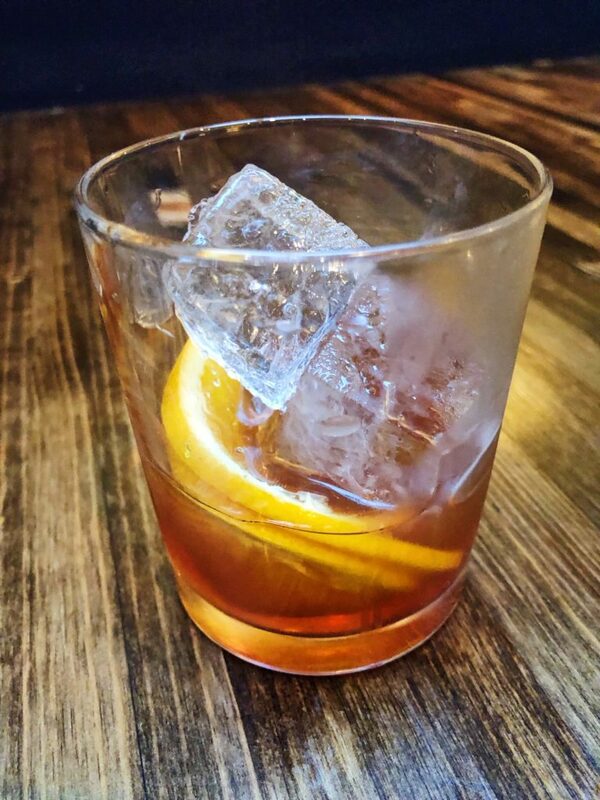 ARCANA has definitely mastered the art of mixology and offer options for every type of spirit preference. I loved the mezcal drinks in particular and enjoyed out after dinner mezcal nightcap. I left Arcana feeling so happy to have found such a magical place. I felt full and content in my belly, but the service and ambiance fed my spirit. I can’t say enough about what a special place this is. I hope everyone who reads this treats themselves to an evening of bliss at Arcana.